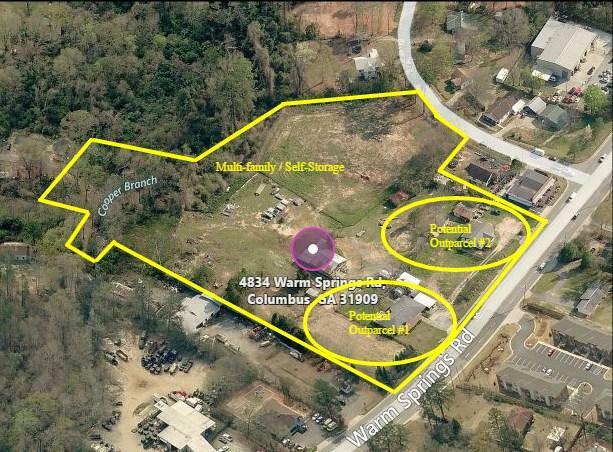 6.2 AC, 6 parcel land lot with +/- 450 ft of Warm Springs Rd footage. Lot is Apprx 550 deep & includes +/- 200 ft of Eastside Dr frontage for additional access.Will Subdivide and carve off out parcels. Property is poised for development and rezoning. Owner willing to enter into a Joint Venture. Property is close to Cols Airport, CSU, & Industrial Park. Site is situated in a densely populated, pro-growth area with new commercial developments, multifamily, and residential housing.